It could be an episode from Yes Minister: the government-commissioned inquiry that was enthusiastically set up, its recommendations praised, and then rejected. I can imagine the screenplay: the Jim Hacker-style minister would spot a tricky and apparently insoluble problem, he would promptly commission an inquiry, his successor would welcome the recommendations when they came, and then promptly ignore them. At the end of the episode, that oh-so-superior permanent secretary, Sir Humphrey, would deliver his homily: "If you agree to carry out a government inquiry, get it out quickly before the minister changes jobs, and well before the next election looms or you haven't got a chance." After this week's events surrounding the government White Paper on 14 - 19 education, I doubt whether Sir Mike Tomlinson will find much to chuckle about in any "Yes Minister" repeats. Rarely has a government-commissioned inquiry done its job so thoroughly. For two years, Sir Mike's working group sifted the evidence, took advice, cajoled and persuaded. By the end he had achieved the near impossible: a very broad consensus in favour of wholesale reform of the examination system. He had found a way of doing precisely what he was asked to do, specifically to recommend "a unified framework of qualifications" to cover all types of learning. The problem was that while he was beavering away the political landscape was changing. When he embarked on this inquiry he had just finished an investigation into the fiasco over the marking and grading of A and AS-levels in the summer of 2002. Ministers were grateful to him for helping them out of a hole. It was too late, of course, for Estelle Morris who had already lost her job as education secretary. But her legacy was a government department still committed to wholesale reform of examinations. In a Green Paper in February 2002, Estelle Morris had made her direction clear, saying "for too long, vocational studies and qualifications have been undervalued". The consultation endorsed that view and a year later, the new Education Secretary Charles Clarke published a White Paper saying ministers had been "confirmed in our view that we need to create a clearer and more appropriate qualifications framework for the 14 - 19 phase". He too anticipated a "unified framework of qualifications" and that was when, in January 2003, he formally commissioned Sir Mike Tomlinson to find a way of doing just that, asking him to report within 18 months. At the time, that generous time-scale seemed right: after the rushed introduction of AS- levels no one wanted to take things too fast. Slowly and surely was the motto. But the report was not ready by the summer of 2004, although an interim report had indicated where it was heading: the replacement of A-levels and GCSEs by a new over-arching diploma. At this point, no-one in government was warning Sir Mike that he was heading into dangerous or undesirable territory. There was still a green light ahead for reform. 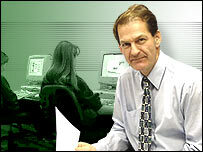 However, publication of the final Tomlinson report was delayed until October 2004. By then things were changing. The prime minister's popularity had plummeted, the Tories were pinning their electoral flag to a defence of A-levels, and an election was looming. The first orange warning light flashed on the day of publication: the prime minister used a speech that very evening to say A-levels and GCSEs would stay. Then, within eight weeks, another education secretary was gone. In the reshuffle following the resignation of David Blunkett, Charles Clarke was replaced by Ruth Kelly. Moreover the Schools Minister David Milliband was also moved. Sir Mike found himself reporting to a completely new ministerial team which had only weeks to make up its mind on one of the biggest education decisions for several decades. For any government, at any time, it would have been a bold move to accept the Tomlinson proposals in full. For a new minister, close to an election, it would have taken enormous clout and courage to leap into the unknown. But there were some reassuring factors: the plans were backed by the government's senior qualifications adviser, the head of Ofsted, the teacher and head teacher associations, most university leaders, and many employers. On the other hand, the "phoney" general election had begun, the problems over AS- levels had fallen quiet, and there seemed few short-term political advantages in taking big risks on examination reform. So, although many aspects of the Tomlinson proposals were accepted, the core principle of a single, over-arching qualifications framework for both academic and vocational courses was rejected. So too was another key component: the shift from external exams to greater internal assessment. Neither were popular with large sections of the popular media. If accepted they may have attracted hostile newspaper headlines which may have frightened parents, and voters, in "middle England". However, with so much support from the education profession, it may well have been that parents, students, and employers - if they had been given a chance - would have welcomed a change from the dominance of the 54 year-old A-level system. Now, though, the door has slammed in the face of wholesale reform. We have, of course, been here before. 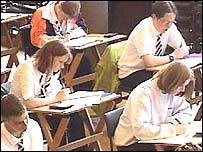 Eighteen years ago, the Higginson Report recommended broadening A-levels from three to five subjects. It was a widely supported proposal but, at the last minute, it was torpedoed by the then Prime Minister, Margaret Thatcher, who was not prepared to countenance any changes to the "gold standard" of A-levels. Poor professor Higginson's inquiry team was only told of the prime minister's veto on the morning it published its report. After that, it took well over a decade before A-levels were broadened, albeit only slightly, with the "Curriculum 2000" reforms. They still remain narrower than Higginson's proposals and narrower than their equivalent in most other countries. Will this week's rejection of Tomlinson mean it will now be another decade before an over-arching diploma is introduced?